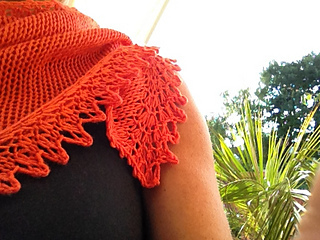 `Marigny ´ is a bottom up knitted shawlette, shawl or wrap. 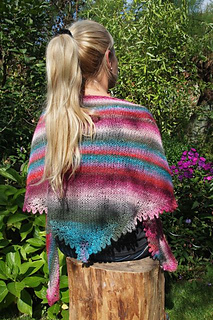 The mildly shaped triangle, has a pure and straight stockinette shawl body and a spectacular edge. 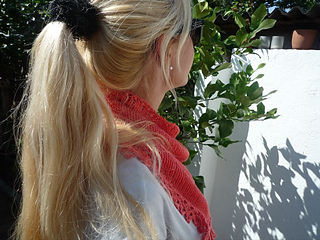 The tip will overlap prettily and it will give your project a stylish look. 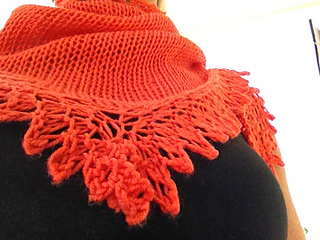 As a free sized project, you may use any yarn. 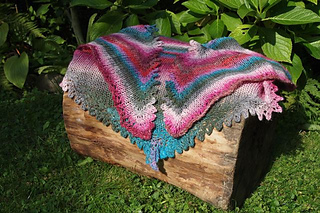 Multicoloured yarns are a great choice, because the pattern will show the beauty of coulours and material. 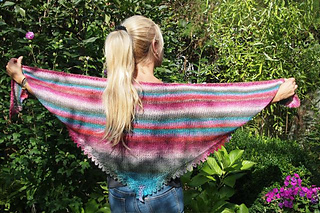 -For a great fit of your `Marigny´ shawl, shawlette or wrap, use two to three needle sizes larger, than suggested on the yarn´s banderole.